"Enjoy this side dish with your next Mexican or baked chicken meal." 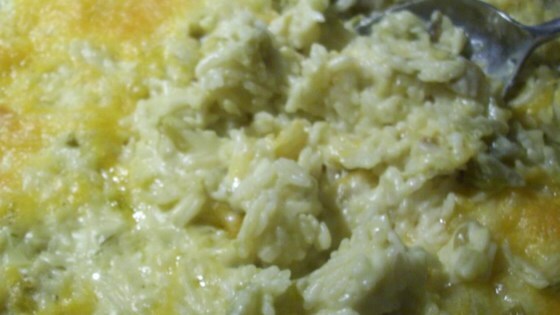 In an 8x8 inch baking dish combine rice, soup, chile peppers and sour cream. Sprinkle Cheddar cheese on top. this is so tasty and easy! Great for RV camping too! Everyone enjoys it.